Summertime — Great Time to Get Dad Involved! Summer is a great time to get Dad involved with the kids and Mom can serve her husband well if she becomes the relationship architect. Creating that special “thing” that they do together helps a lot in forging a relationship outside of the daily to-do list of life–like clean your room, take out the trash, and the barking of orders that some dads find as the only way to relate to their kids. It was as if they had rekindled a friendship that had been put on hold for too long. 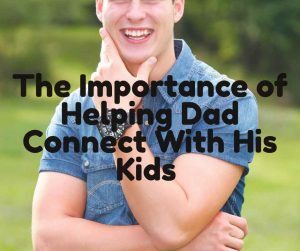 Need some ideas on how to be that relationship architect for the Dad who struggles with time to connect? Tom was a project and fix-it kind of guy. He thought through what he wanted to accomplish each evening and most every weekend. Mow the lawn, trim the bushes, paint the siding…he would tackle his list in the same manner he handled his day job…with tenacity. The neighbors all raved about how nice the house always looked. His boss told him regularly how much he was valued in the organization. The church liked having him on committees. Barbara loved that he was so accomplishment driven! That’s why she married him. However, with many years of working prior to becoming a father, Tom had mastered the art of being a focused workaholic. Barbara had learned the hard way to give Tom a few days’ notice if she had something to do on a Saturday and would need him to watch the kids once the little ones had come along. Oh, he was more than willing to take the boys and go do something fun or play with them in the backyard. They would have a great time together! It just needed to be on Tom’s schedule. As long as he could still get something “accomplished” during the day, everything was good. Barbara began to realize that they needed to work together to “master” the schedule if there was going to be any family connection. Tom had not grown up with a family that “played” together. Spontaneity didn’t come easily. Now that the boys were hitting puberty, Barbara knew that her early encouragement for Tom to have relationship with the boys was paying off! She could honestly say that the little boy in Tom was finally having a chance to bloom and her boys were the beneficiary of his many talents. As she watched her “men” get in the car to head to the tennis courts, she remembered well a discussion that had taken place several years prior. What wise counsel she had received. Taking Meg’s advice, when the boys were younger, Barbara encouraged the boys in sports that Tom had enjoyed in high school. “If they can come to love the game of tennis, they’ll connect with their dad when they’re old enough to play,” she thought. So every opportunity, Barbara would see that the boys were taking tennis lessons to develop their skills. Basketball was another thing she knew Tom enjoyed, so Barbara suggested they install a basketball hoop next to the driveway. Tom thought it was for the boys, but she knew better. It was for family connection. Barbara had become the master family scheduler with Tom’s permission. “I know you want to connect with the boys,” she had offered up. “Let me help you do that so that you know you not only have time to get things accomplished around the house, but that your boys will have a relationship with you as they grow older. I promise to let you know the plan well in advance.” With that, she put the schedule in motion. A two hour block to do something “special” with each of the boys once a month with the fourth week being her special time and a family fun time at least once a week. Sometimes it was something that took no planning, like biking through the park or going to get ice cream. Other times, she would encourage Tom to get involved with the boys in what each of them enjoyed. Brad enjoyed video games, so Tom would spend time playing with him. It obviously wasn’t Tom’s “thing”, but it helped him gain a talking framework of what was going on in Brad’s head. Nick was into baseball, so they’d go to the park and work on catching fly balls. Derek was still at the stage of loving the animal world. Together they’d go down to the creek to catch tadpoles and, at Tom’s suggestion; they had built an outdoor terrarium for Derek’s turtles that he found, mixing Tom’s love for accomplishment with Derek’s excitement for turtles. Some men are natural connectors, but others haven’t had it modeled and don’t know where to start. 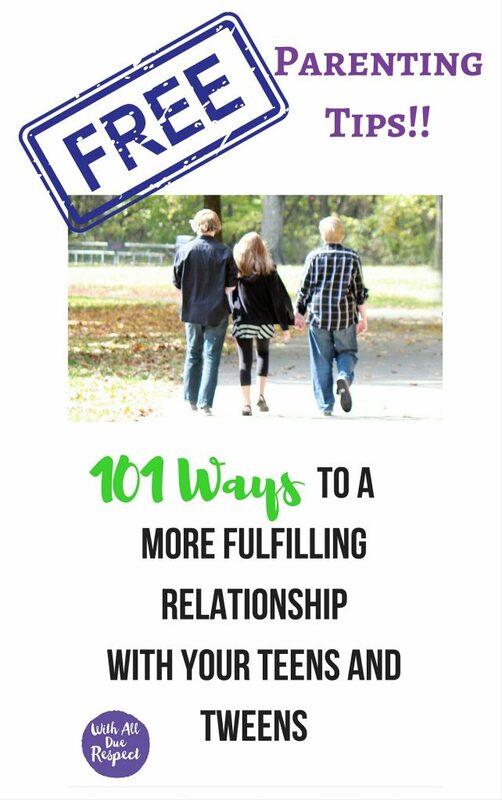 Dare you to encourage your husband to be involved in their tweens and teens lives. Create opportunity through encouragement. Be his cheerleader! Does it feel like your tweens don’t listen when you’re talking? Or maybe you don’t feel like your teens respect you? Tired of the conflict? Get the skills you need to connect with your kids! 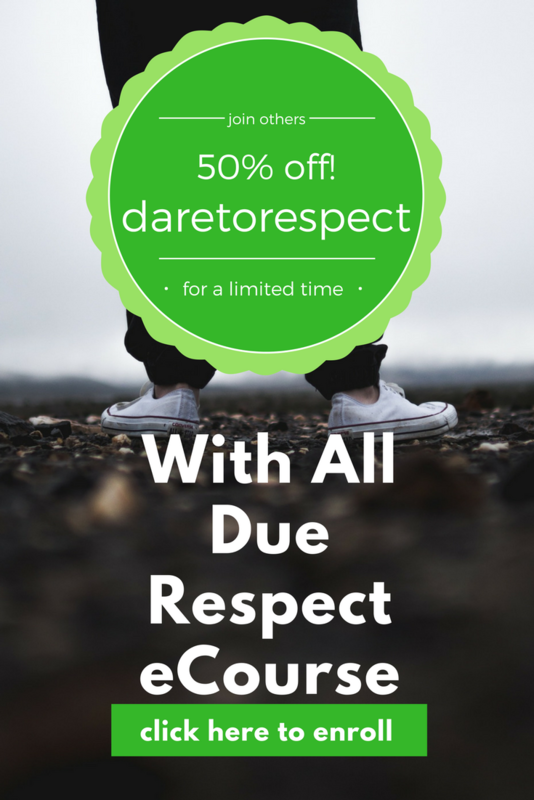 Click here to receive our new free 5-session email course.